Specifically selected to be one of the first to offer Silhouette Soft X-Lifts in Scotland you know you’re in safe hands with Dr Cormac at Ever Clinic. Silhouette Soft has been referred to by different names over the years; “Mini-facelift”, “Puppet Lift” and the “No Knife Lift”, as it is simply the only proven thread lift treatment that clinically proven to produce Type 1 Collagen (that’s the good stuff!). As such what we see is a long lasting and natural lift of the face and neck where there is sagging skin. The unique property of Silhouette Soft is that tied on the threads are small cones made of Poly-lactic Acid (PLA). The small cones act as anchors under the skin, allowing it to be lifted and re-positioned to a higher and more youthful looking position, with no visible evidence of their existence. The natural bio-stimulation effect of Silhouette Soft means it produces natural collagen. This collagen acts as a further anchor holding the skin in position for up to 18 months and potentially beyond. Not only was Dr Cormac one of the first to be selected to offer X-Lift Thread Lift, he is also a leading practitioner and trainer for Silhouette Threads. X-Lift uses 10 threads in total and offers superior results to any other type of thread lifting treatment. With this in mind you can be assured that you will be getting the highest standard of treatment once you are in the treatment room. Silhouette Soft Thread Lift is one of the most requested treatments in the world today as, unlike a traditional face lift, it involves no cuts or incisions meaning it avoids any risk of serious complications. Is the Silhouette Soft Treatment Painful? Dr Cormac uses local anesthetic to minimise any discomfort experienced. Your result will be immediately evident however there may be some minor swelling and a puckering of the skin, this however is temporary and settles in the first few days. Generally bruising is uncommon but can easily be covered up with make-up. Most people are happy to return to work within 1 to 2 days following treatment. Are the threads visible after the treatment? No. Once the threads are inserted in the skin they are not visible. What precautions do I have to take following Silhouette Soft Thread treatment? Dental surgery, facial massage and beauty treatments are to be avoided for two weeks following the procedure.Any exercise or sports which may cause excessive movement of the facial tissues is also advised against. This includes but is not limited too; jogging, aerobics and horse riding. After two weeks the new collagen starts to form around the threads ensuring a tight and secure connection to the facial tissues, it is at this point you may resume your normal activities. How long before I see the full result? There is an initial lift of the skin, however over the following weeks and months there will be continued improvement in most cases as the new collagen is formed and making tighter and smoother skin. Which areas can benefit from a Thread Lift? Silhouette Soft X-Lift will benefit anywhere on the face and neck that has mild to moderate skin laxity. This can include jowls, cheeks, neck and in some cases eyebrows. What age is best for the Thread Lift? Silhouette Soft can be used at any age to mild to moderate laxity that is causing a downward descent of the tissues. Ideal candidates for Silhouette Soft would be those patients in their 30s or 40s who are beginning to experience loss of definition along the jaw, or are developing folds around the nose and mouth. 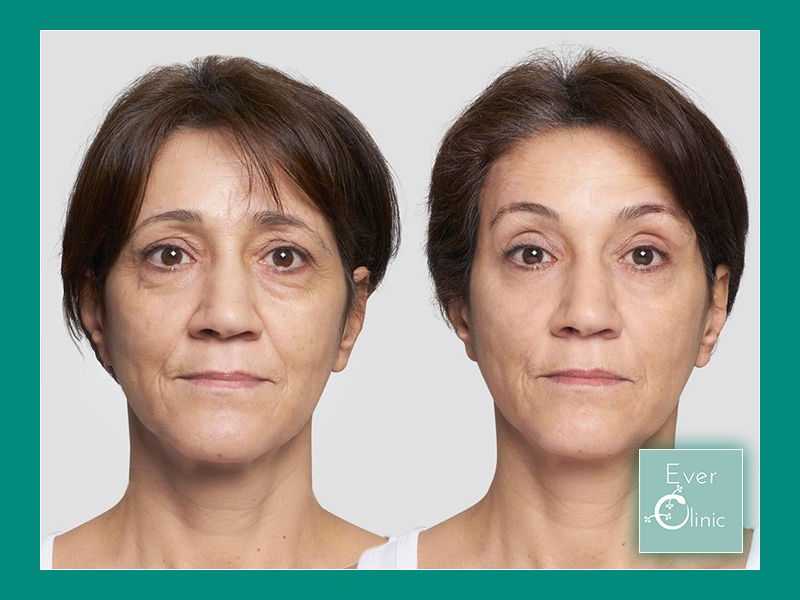 A natural lifting of the tissues can be achieved without adding excessive volume with dermal fillers resulting in a “pillow” type look of the face. Those in their 50s, 60s or above can also be good candidates for threads, as long as the patient is in good health good health and does not have severe laxity of the skin, commonly associated with heavy smoking and sun damage. In instances where there is some loss volume or thin skin, it is advisable to correct this first using dermal fillers.This will be fully discussed at your consultation with Dr Cormac.